WASHINGTON (Sputnik) – Syria is inviting members of the UN Security Council, as well as inspectors from the Organization for the Prohibition of Chemical Weapons (OPCW) into the country to inspect both the airfield hit by US missiles and the town attacked by chemical weapons to discover who was responsible for the chemical attack, the Syrian Arab Republic's Permanent Representative to the UN Bashar Jaafari said on Wednesday at a Security Council meeting. 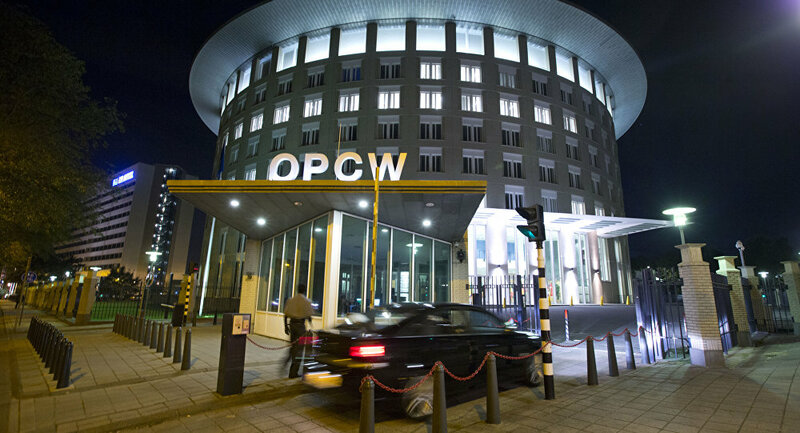 "My country has sent to you and to other members of the council a letter inviting you and inviting the Director General of the OPCW, inviting him to send a technical mission to Khan Sheikhoun and to Ash Sha’irat airbase to uncover the truth," Jaafari stated. Jaafari noted the government has extended the invitations because it wants to know who was responsible to the chemical attack last week in Khan Sheikhoun. On April 6, the United States launched 59 Tomahawk missiles at the government's Ash Sha'irat airfield in response to the chemical weapon attack against civilians.